MyCSF provides the ability to quickly discern the relevant HITRUST CSF controls that will be associated with your Assessment AFTER you have fully scoped your environment. This can be achieved through two separate manners. *The Profiles will only be created utilizing the factors for the current Assessment you are scoping. In the “Administrative Details & Factors”, a button will be available across the top of the page named Preview Profile. Click this button to auto-generate the Visual Profile. *The Visual Profile is also available on the MyCSF Visual Profile tab. For a more dynamic and detailed version of the Visual Profile, leverage the Applicable Controls Report. 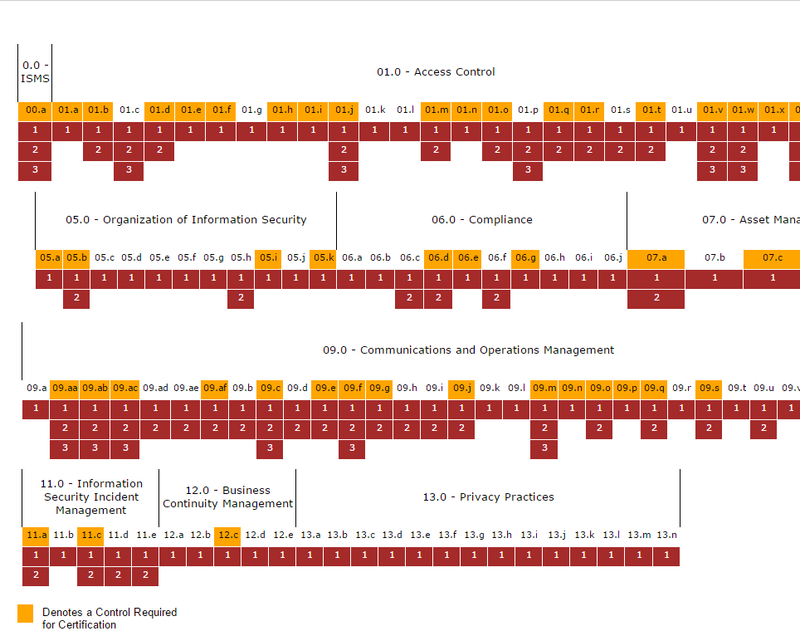 While scoping in the “Administrative Details & Factors”, a series of buttons will be positioned at the top of the page. First, click the Action button, which will cause it to expand. Subsequently, press the Run Applicable Controls Report option. 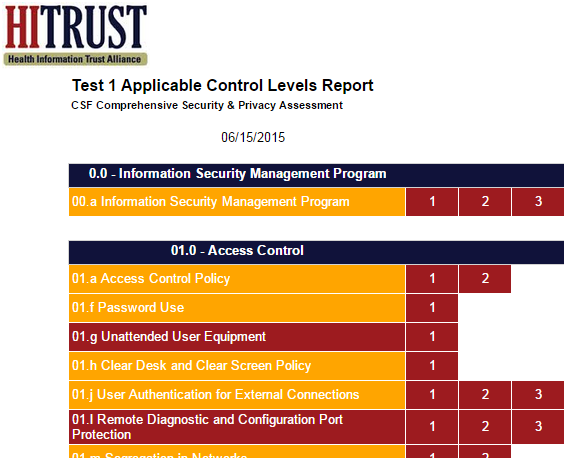 At the conclusion of the Factors tab, there is a button labeled that allows a user to get an exact count of the number of HITRUST CSF Requirement Statements that will in an Assessment if it’s not already generated OR show the disparity in count with your current Assessment and the result of refreshing it with the present factors.